TORONTO – Students don’t know what types of jobs and opportunities are available in the unified communications (UC) space. 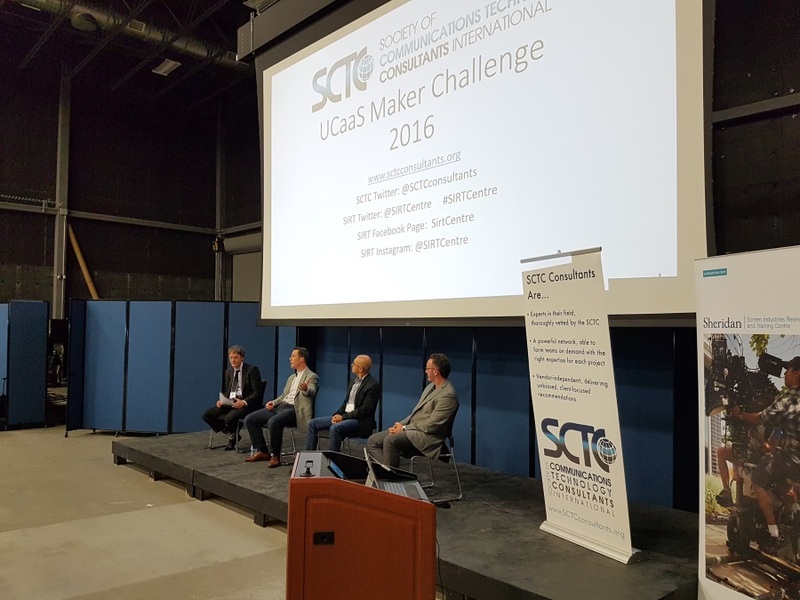 That’s the problem that the Canadian Regional Group of the Society of Communication Technology Consultants (SCTS) is trying to solve with the new Maker Challenge event, a competition between student teams from Ontario colleges. Three teams comprised of students from Durham and Centennial Colleges were given access to a vendor’s technical engineer, SDK/API, and a test environment in order to develop an application, extension, or enhancement of that vendor’s unified communications-as-a-service (UCaaS) offering. The three vendors involved with the Maker Challenge were Cisco, Interactive Intelligence, and Avaya, with the Spark, Pure Cloud, and Zang UCaaS platforms respectively. How to engage with young people was the topic of the day as vendors in the UC space sought to bring awareness to students who have otherwise never heard of them. 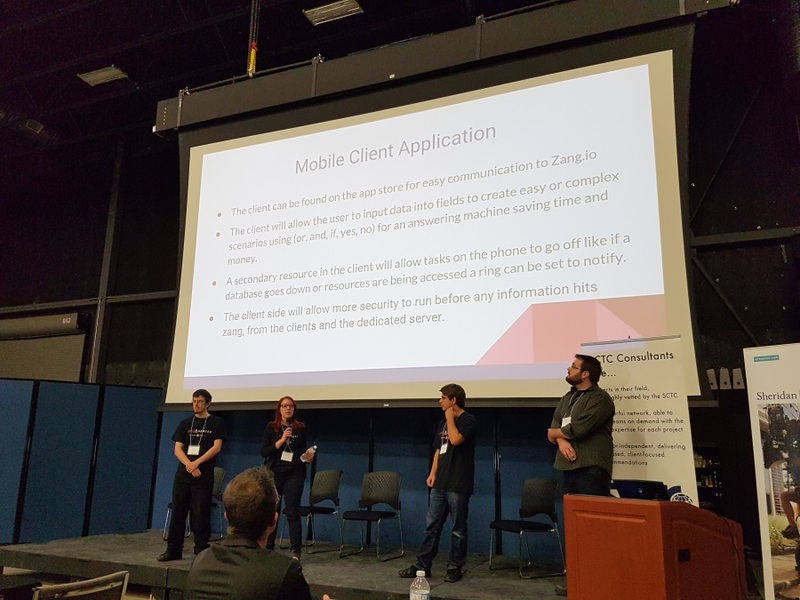 Petramala’s strategy is paying dividends, as the Avaya Zang team from Durham College, came away from the event on top with an application that connects active directory users to Avaya Zang accounts through SMS. They won over the judges with the idea that you could be sitting on a tropical beach without data, but still communicate with your servers through text messages. “You’re bringing personality and real life examples of what technology solves, and what is so great about it is in the old days, to do this it would take a year because they’d have to learn the technology and buy their own equipment before they could get started,” said Petramala. “Now, because it is all based on open REST APIs, we can point them to the tech and they know the platform in one day. (From left) Christopher Cassidy of My Blue Umbrella, Dave Gussin of Interactive Intelligence, Joseph Bassaly of Cisco, Davide Petramala of Avaya. The importance of getting millennials on board with UC was echoed by Dave Gussin, director of solutions engineering for North America at Interactive Intelligence, and Joseph Bassaly, solution architect at Cisco, who joined Petramala on a panel moderated by Christopher Cassidy, director of UC practice and channels at My Blue Umbrella, before the student demonstrations. 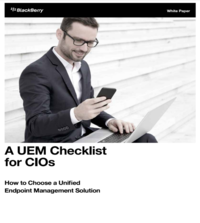 UC comes out of the enterprise space, and students generally have zero knowledge about that side of the industry because there is no consumer side to those applications. Part of changing that comes from vendors going to events like this, and beginning to open their APIs to these third party ideas. “As an industry we have done a bad job of opening our APIs to third parties, when doing so can provide a benefit as seen here,” said Bassaly. “The talent pool has expanded, and the customer experience will benefit because of that,” added Gussin.